Download "Prepare. Succeed. 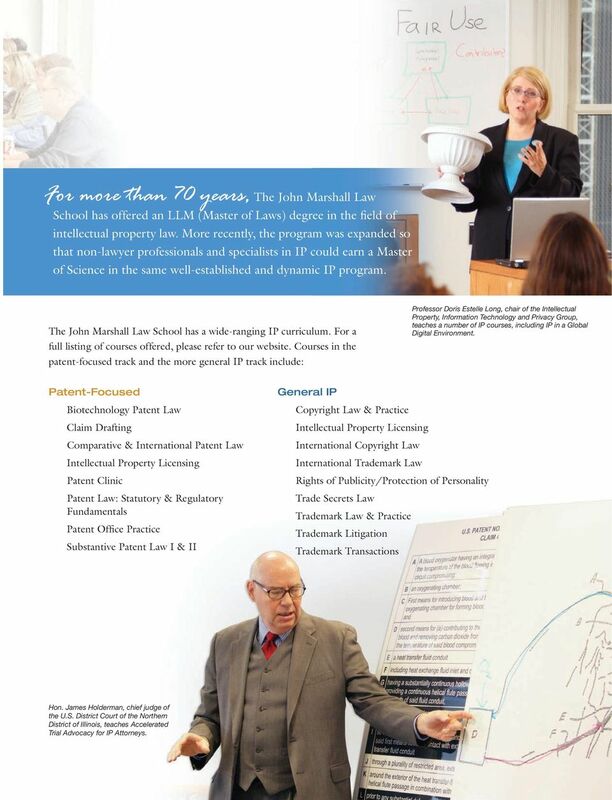 Leading the Way in Intellectual Property Legal Education Since 1940. 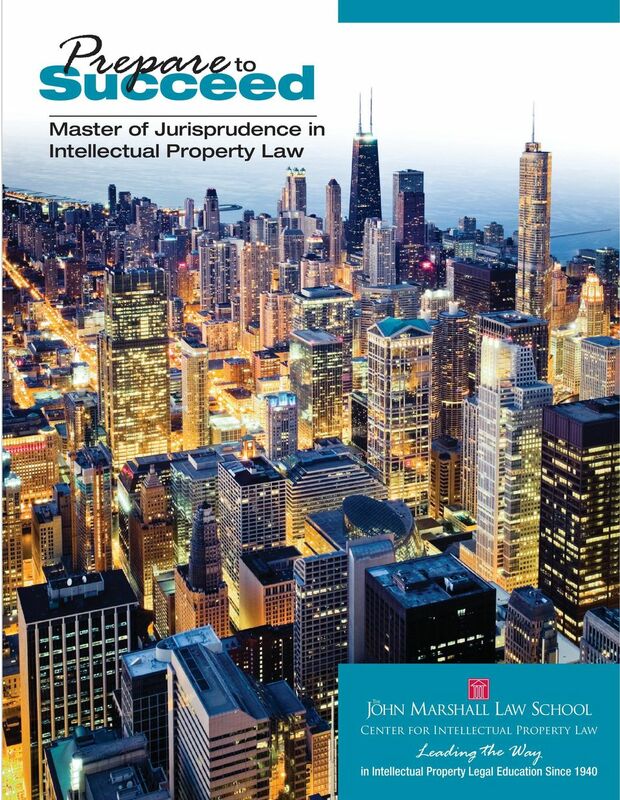 Master of Jurisprude e in Intellectual Property Law"
2 There is a pressing need for non-lawyers who deal with IP to become conversant and confident regarding the field. Adjunct Professor Laura Beth Miller, a shareholder at Brinks Hofer Gilson & Lione, co-teaches the Substantive Patent Law course. 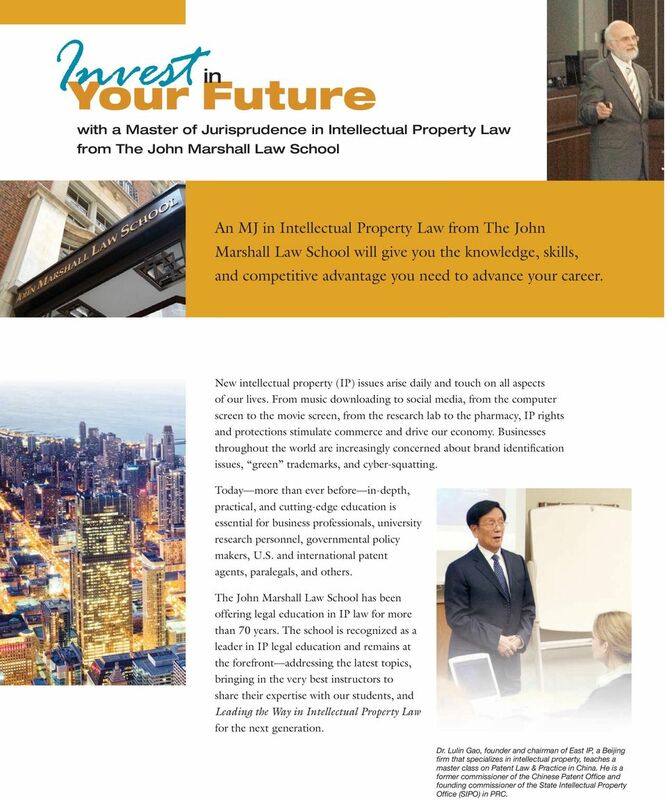 The John Marshall Law School is pleased to offer its Master of J in Intellectual Property Law as an opportunity for IP professionals from the United States and abroad to specialize in the law and practice of IP rights, protection, and licensing. 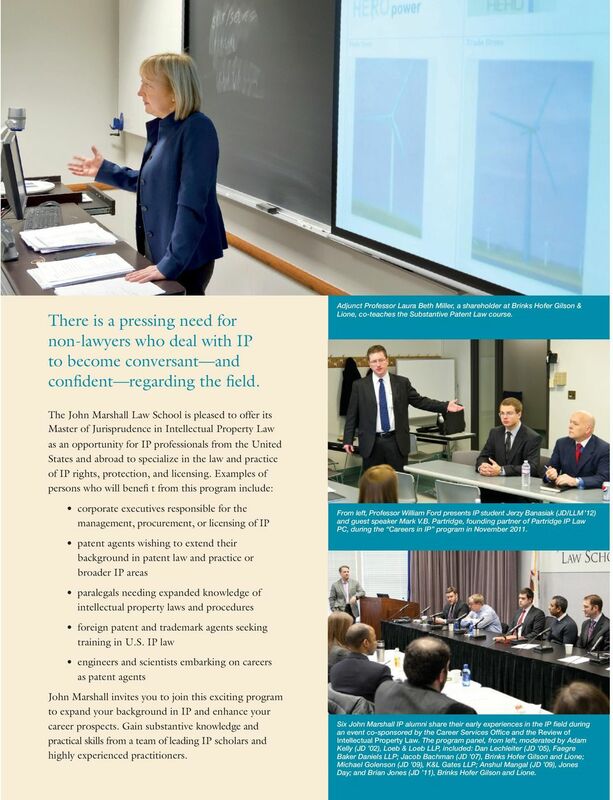 Examples of persons who will benefi t from this program include: corporate executives responsible for the management, procurement, or licensing of IP patent agents wishing to extend their background in patent law and practice or broader IP areas From left, Professor William Ford presents IP student Jerzy Banasiak (JD/LLM 12) and guest speaker Mark V.B. Partridge, founding partner of Partridge IP Law PC, during the Careers in IP program in November paralegals needing expanded knowledge of intellectual property laws and procedures foreign patent and trademark agents seeking training in U.S. IP law engineers and scientists embarking on careers as patent agents John Marshall invites you to join this exciting program to expand your background in IP and enhance your career prospects. Gain substantive knowledge and practical skills from a team of leading IP scholars and highly experienced practitioners. 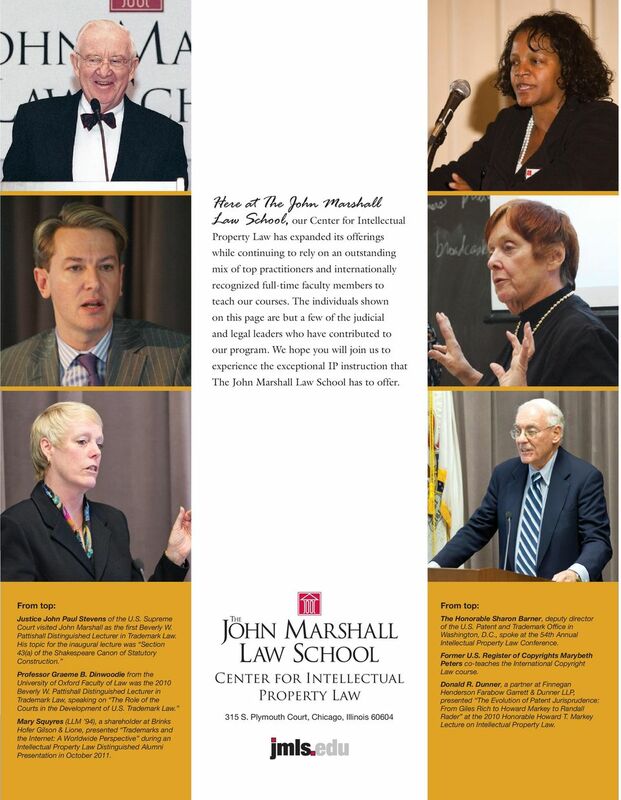 Six John Marshall IP alumni share their early experiences in the IP field during an event co-sponsored by the Career Services Office and the Review of Intellectual Property Law. The program panel, from left, moderated by Adam Kelly (JD 02), Loeb & Loeb LLP, included: Dan Lechleiter (JD 05), Faegre Baker Daniels LLP; Jacob Bachman (JD 07), Brinks Hofer Gilson and Lione; Michael Golenson (JD 09), K&L Gates LLP; Anshul Mangal (JD 09), Jones Day; and Brian Jones (JD 11), Brinks Hofer Gilson and Lione. Message from the Center Dear Colleagues, Rapid change in IP seems to be the only constant in our field. The new administration has placed a number of new IP leaders at the top of key governmental agencies. LAW What can I do with this graduate degree? ASSOCIATE OF ARTS IN PARALEGAL STUDIES UNIVERSITY of LOUISVILLE Paralegal Studies Program PARALEGAL STUDIES PROGRAM 104 Ford Hall University of Louisville Louisville, KY 40292 Phone: 502-852-6831 ABA Approved! 1. Networking works and is an essential job search tool because the job market (both the advertised and hidden) is decentralized. THE POWER OF PERSUASION: USING WHAT YOU HAVE TO GET WHAT YOU WANT African-American Lawyers Section. Friday, June 27, 2014 9:00 a.m. 10:15 a.m. 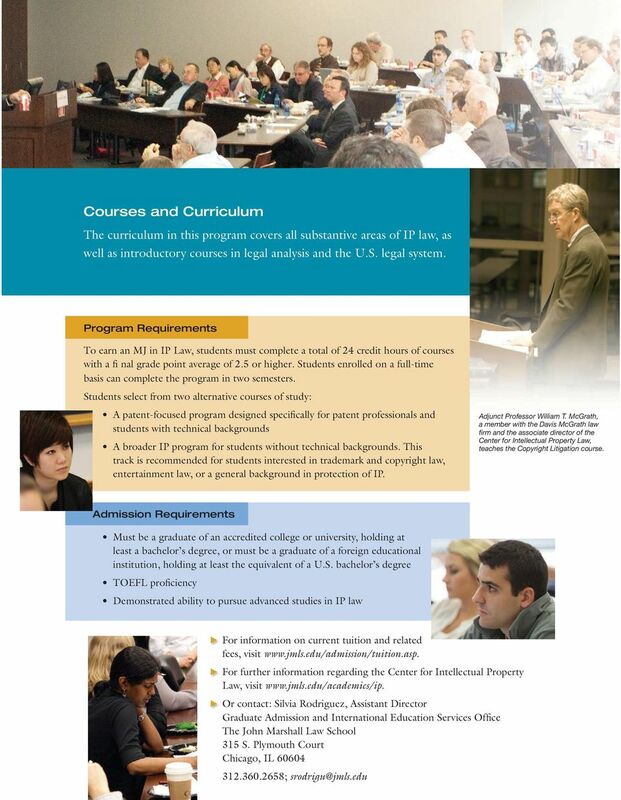 The Kline School of Law LLM: Set yourself apart. OAKLAND UNIVERSITY PARALEGAL PROGRAM SYLLABUS 1008EIG BUSINESS ORGANIZATIONS CEPL 25300 Text: Faculty: Deborah E. Bouchoux. Fundamentals of Business Organizations For Paralegals (3rd ed.). Aspen Publishers.